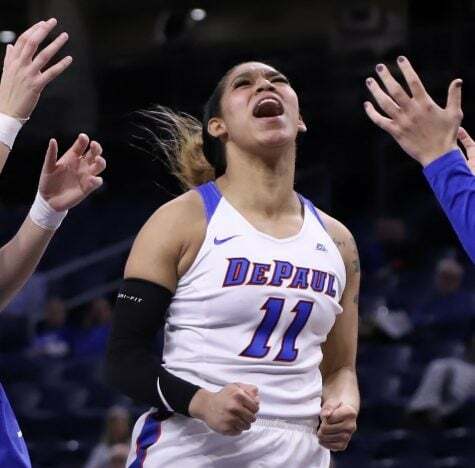 DePaul women’s basketball head coach Doug Bruno sent his 11th player to the WNBA Thursday night, but she won’t be straying far from home. 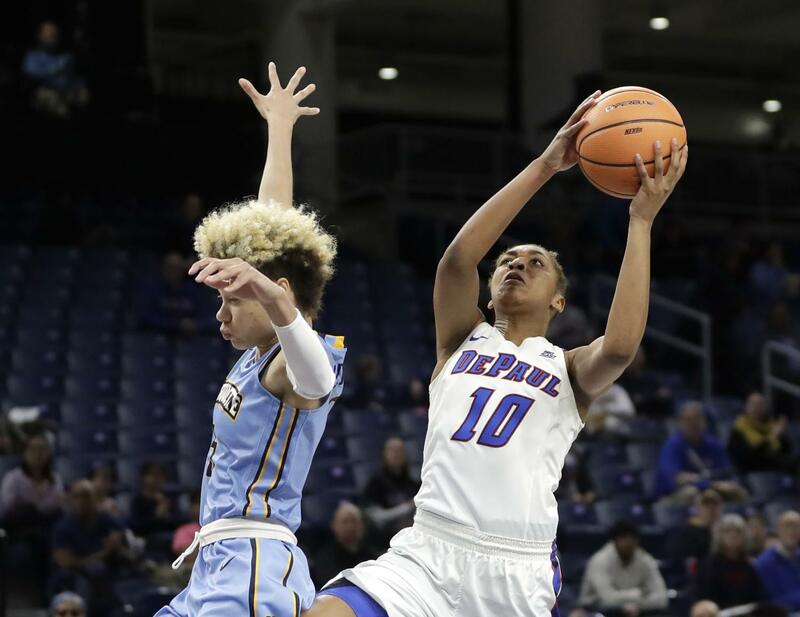 The Chicago Sky used the 28th overall pick to select Blue Demon guard Amarah Coleman in the third round of the 2018 WNBA draft. 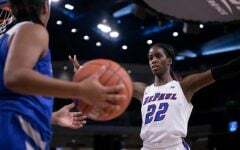 The Bolingbrook native will join class of 2008 DePaul guard Allie Quigley and class of 2012 forward Keisha Hampton on the Sky’s roster. She was the only player from the Big East conference to be drafted. “I was sitting at my aunt’s house in Plainfield watching the Draft when I saw my named called,” Coleman said. Coleman’s college career started in Urbana-Champaign at the University of Illinois, where she averaged 7.5 points, usually coming off the bench. 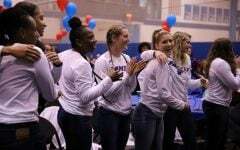 Her sophomore year and first season with the Blue Demons was cut short due to transfer regulations, but she was eventually cleaned by the NCAA on Nov. 25, 2015. She saw the floor in 24 games and averaged just 3.1 points. Ready to break out in her junior year, Coleman played much of the 2016-17 season in the shadows of DePaul’s trio of all-conference studs Jessica January, Brooke Schulte and Jacqui Grant. 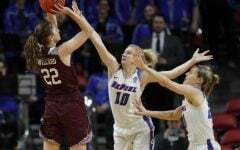 But when January succumbed to a hand injury at the beginning of conference play, Coleman carved out more playing time and rose to the occasion. 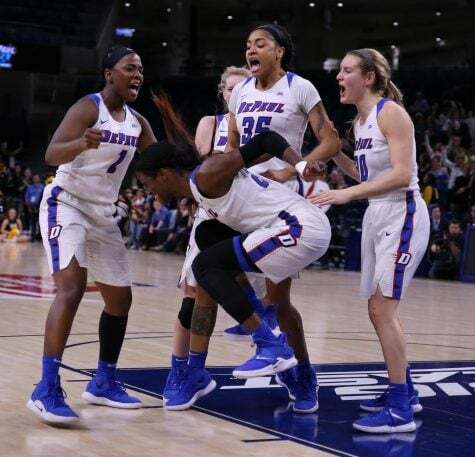 In 35 games she averaged 11.2 points and flashed her clutch gene in the Big East Championship title game, shooting 6-of-9 from the field (5-of-6 from behind the arc) for 17 points. With January, Schulte and Grant out of the program, Coleman’s leadership moment presented itself. She averaged 12.5 points, 4.2 rebounds and 3.3 assists during her senior year with the team, and routinely played well when it mattered most. 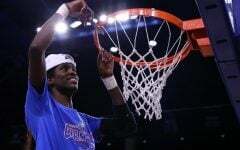 When DePaul played then-No. 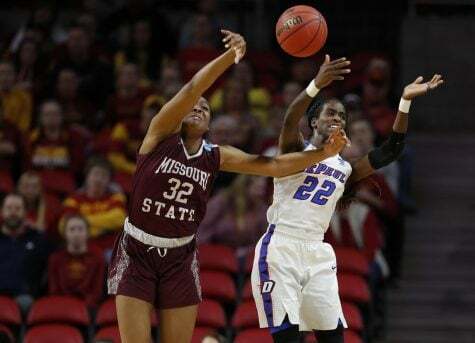 21 Oklahoma at home on Nov. 11, the unranked Blue Demons found themselves in overtime trying to scrape together an upset. 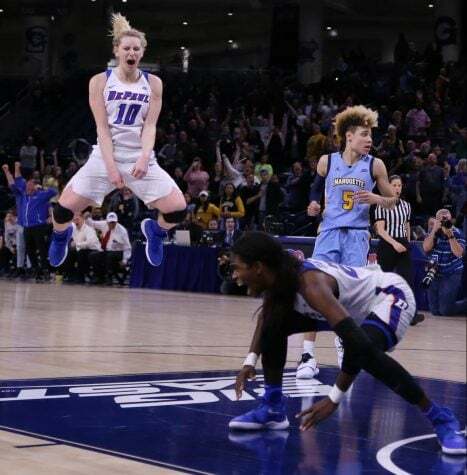 With the game tied at 108 and less than 10 seconds on the clock, Coleman took the ball at the top of the key, dribbled right, shook Sooner guard Maddie Manning out of her socks and drilled a step-back three at the buzzer for the win. 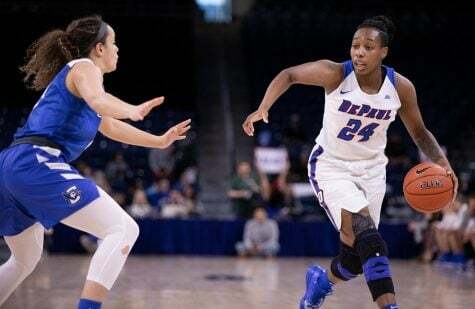 While 23 points and a buzzer-beater against Oklahoma may have been Coleman’s most exciting game of the year, her career-high 27 points in the 2018 Big East Championship title game is the kind of performance the home-grown guard has been working toward. 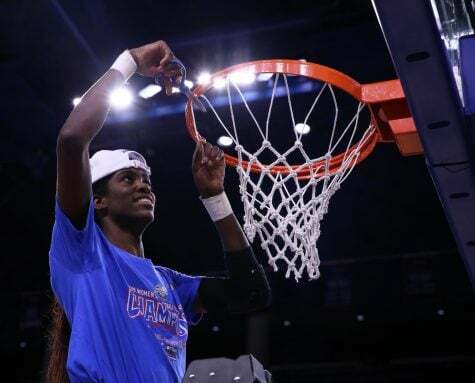 “We are also very thankful to the Chicago Sky for doing their homework and spending the time evaluating Amarah’s potential strengths at the next level,” Bruno said. Coleman follows class 0f 2015’s Brittany Hrynko and class of 2017’s January — both drafted by the Connecticut Sun in the second and third rounds, respectively — as the most recent DePaul player to have her name called on draft day. 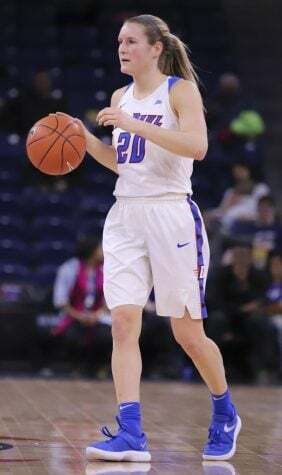 Hrynko was traded to the Atlanta Dream and is currently listed as a free agent; January failed to make the final roster for the Connecticut Sun and now plays professionally in Romania.